Hello! It is truly an honor and privilege for me, Dr. Pavel Bence, to serve you and your loved ones on your journey toward reaching your ultimate health potential. In order to fully understand chiropractic, and its importance for your family’s health, I feel it is necessary to share with you a little about myself. I suffered with a recurring shoulder injury through my high school years. Several orthopedic doctors recommended that I get surgery to repair the damage and to stabilize my shoulder. Coincidentally, I got introduced to chiropractic by a church member who was in chiropractic school. I started seeing a chiropractor and was amazed that within a few months, I had improved so well that I was not having any problems with my shoulder. My whole health improved because my nervous system was healthy again. Chiropractic adjustments removed the interference to my nervous system known to science as the Vertebral Subluxation Complex. I also noticed that my headaches disappeared — and no more aspirin or Ibuprofen, since then! Being very impressed with natural health care, I pursued chiropractic as a career to help others realize their God given potential and right to be their best that they can be. I had begun seeing a chiropractor at the age of 16, which most people would think is young. That meant that I already had to reverse 16 years of injury damage to my spine and nervous system. Now you may be thinking to yourself, “I don’t remember any spinal injuries in my past!” But you as a child had to learn how not to fall, how to walk, ride a bike, jump, run, play sports, dance, and cheer. You might have experienced car accidents, slipped on ice, fallen from a loft or ladder, etc., your health and your family members health who also have suffered slips and falls, could be at risk. I have now dedicated my life as a Family Wellness Chiropractor to educate everyone I meet of the importance of chiropractic care beginning at birth (the time of the first spinal injury/the first subluxation). I am a family man with eight children. All of my children have had their spines checked and adjusted the day they were born. Every week they get their wellness adjustments and enjoy the benefits of a healthy spine and nervous system for the rest of their lives. I tell this story because I see the health of children in the area declining at a dangerous pace. There are more syndromes, diseases, hospitals, pharmaceuticals, surgeries, and drugs that are not increasing our children’s health. The concept of chiropractic and kids is foreign to most and will therefore be met with resistance, especially when parents have been let down by other doctors in the past. 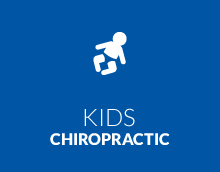 What I can tell you is that chiropractic helps kids become healthier individuals, their nervous system works better and allows optimal function of all aspects of health, physical, emotional, social, and even spiritual. Our children deserve the best health now and even more for their later years. The decisions you make for your children’s health today can create a healthier future for your family and for our community. If you have any concerns about your health and/or the health of your child, and are ready to explore better health through chiropractic care, please feel free to contact me personally. Dr. Bence is the clinical director of Macomb Spine & Injury Center and has been a practicing chiropractor for over 34 years. He has extensive experience in caring for spinal related issues. These range from trauma related cases as a result of accidents and sports injuries to scoliosis. This accompanied with his comprehensive post-doctoral education allows Dr. Bence to treat both simple and complicated cases. Dr. Bence is certified by the New York State Department of Education, Board for Chiropractic, by having attained postdoctoral education in MRI spine interpretation, electrodiagnostic interpretation, triaging the injured, caring for the trauma patient, head trauma and brain injury, impairment rating, spinal biomechanical engineering, spinal trauma pathology, and accident reconstruction. 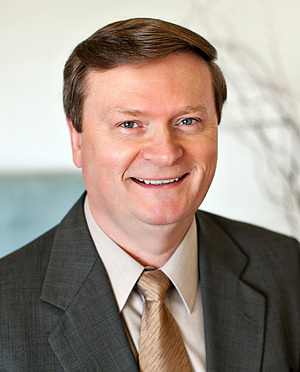 Dr. Bence is a member of the Academy of Chiropractic and the American Academy of Medical Legal Professionals. These are national medical research organizations that provide the latest research on the diagnosis and treatment of spinal related conditions. This allows Dr. Bence to offer the latest techniques based upon peer reviewed research when caring for his patients, while also drawing from over 34 years of practice experience. Dr. Bence is supported by a caring, highly trained staff that is dedicated to meeting the needs of their patients in processing insurance, legal or work related documentation. Dr. Bence has been recognized by the Academy of Chiropractic as a clinician of excellence and has been awarded the Certificate of Trauma Team Membership by the Cleveland University, Kansas City, Chiropractic And Health Sciences.